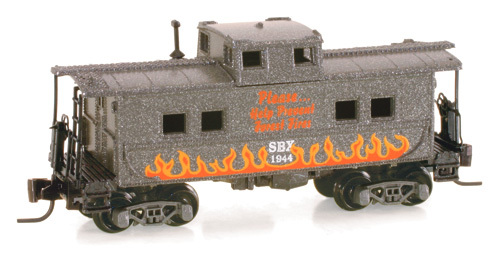 Micro-Trains has announced a special train set consisting of one undecorated 2-6-2 Prairie Steam Engine with tender (like the UP one shown below), three disconnect log cars (like the one below), and one wood-sheathed caboose (something like the one below, except red). These must be ordered as soon as possible in order to guarantee delivery. 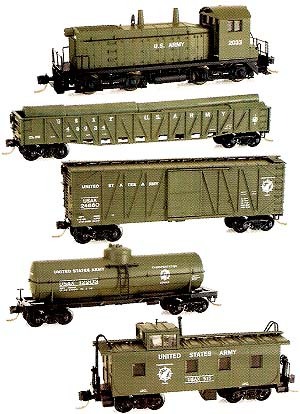 They are due to be shipped from Micro-Trains in August, 2006. Check it out, product #489-99301050. Call 1-866-840-7777 or your Sales Rep Today!